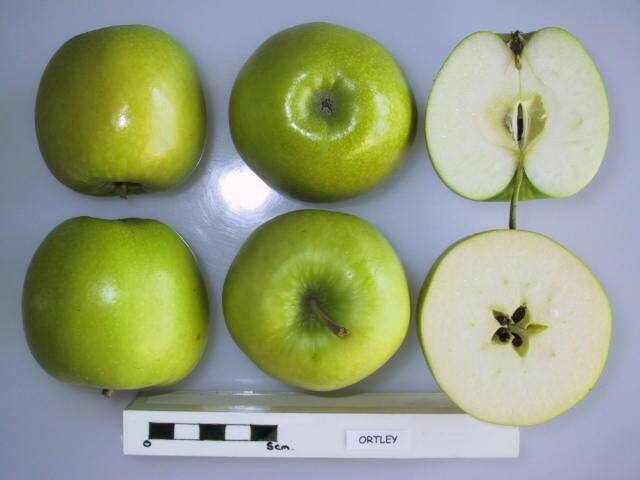 Originated in New Jersey, USA in the orchard of Michael Ortley. Described in 1817 as Woolman's Long Pippin. Re-named Ortley in 1825. In 1872, the commercial synonym Cleopatra came into use. Fruits have tender, very juicy flesh with a pleasant mild flavour. Fruits bruise easily. Tree tends to be biennial.